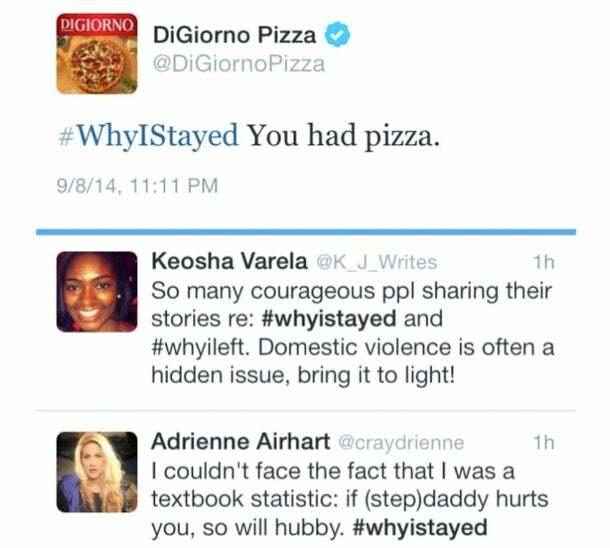 DiGiorno Pizza has become the latest company needing to take an apology tour in the wake of some misused social media. Following former Baltimore Ravens running back Ray Rice's termination, hashtag #WhyIStayed, began trending on Twitter, as abuse survivors took to the micro-blogging platform to share their stories. DiGiorno found itself in hot water after it tweeted a joke about pizza using the hashtag, without knowing the meaning behind it. The company quickly deleted the tweet and apologized several times over, but the lesson here for all companies -- no matter their size or influence -- is clear: Stay informed and pay attention because context is key. An infographic from 360 Public Relations lays out what companies should do if they have to handle a social-media snafu, in particular, common sense tips like letting people vent their frustration and anger, and quickly and publicly acknowledging your mistake. For more on the subject take a look at the suggestions below.